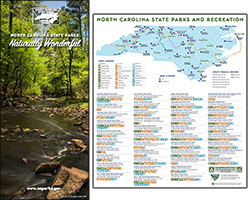 This full-color two-sided brochure includes a system-wide map of the state parks and the facilities and amenities available at each one. Several parks have their own brochures with the park map, historical and educational information, trails list and more. 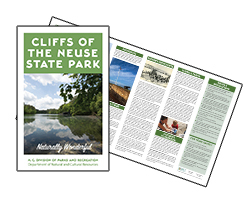 Visit the state park office or visitor center for a copy of the brochure. Most parks offer a one-sheet map with general park information and the location of amenities and trails. They are available in park offices and sometimes at trailheads or restrooms. 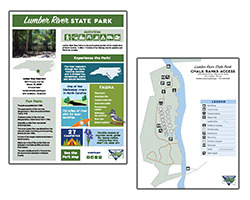 Each park has a printable park map and fact sheet on its webpage that you can download and print at home. 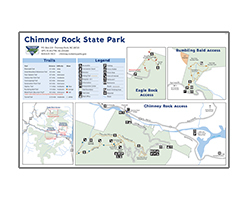 Some parks will also have additional maps for campgrounds, trails and other amenities.